Download Vertical ID Card Mockup Template. If you want to showcase your id card design and want to preview how your ID card design will look like after printing then this ID Card mockup template is perfect for you. A Free Vertical access badge or Office ID Card Holder mockup is available for free download so that you can display identity card designs in a unique way. 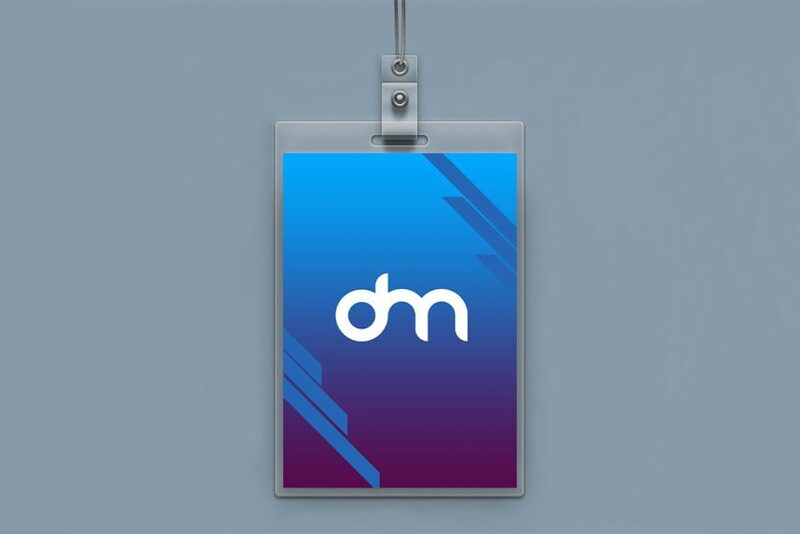 This Vertical ID Card Mockup Template also let you present your company branding and event access badge designs, corporate identity etc in style. You can easily change the lanyard and background color and add your own ID card design with the help of a smart layer in a few minutes. Hope you like this Vertical ID Card Mockup Template. Enjoy!